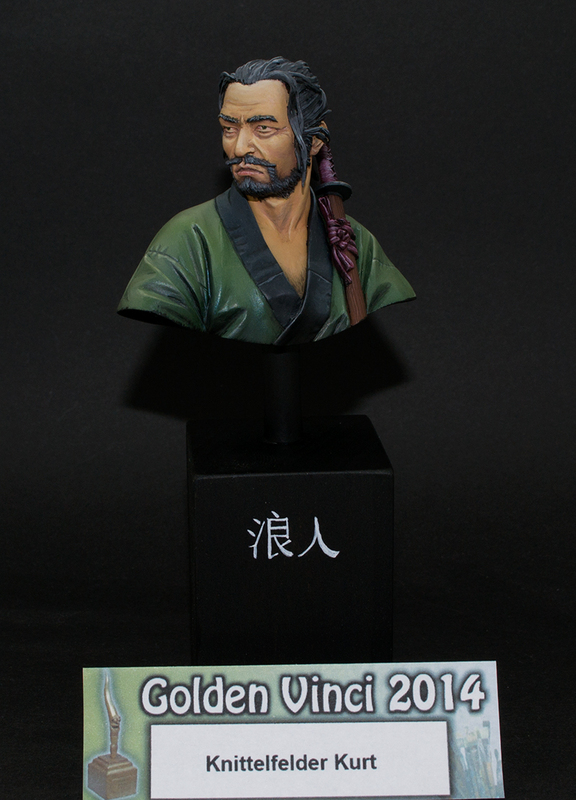 I´ve finished a project i was painting for the Golden Vinci Contest 2014. 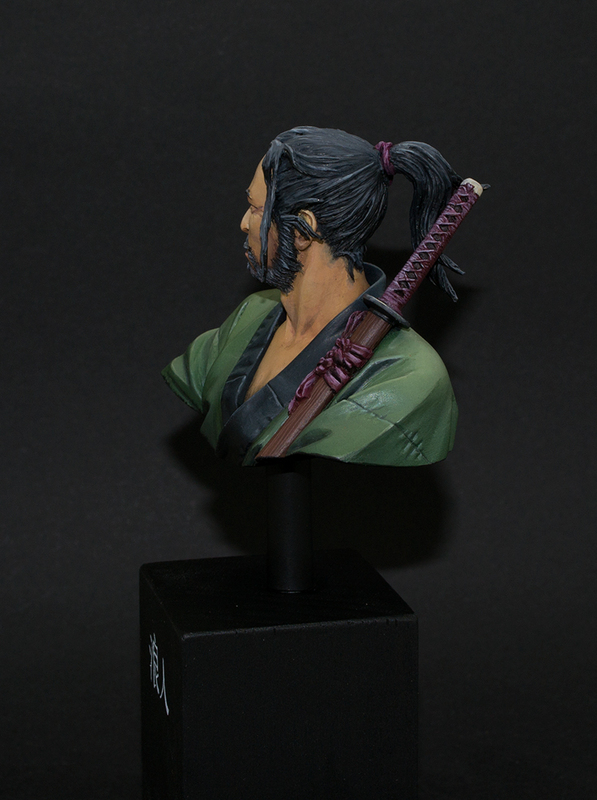 It is a Ronin bust from Pegaso Models. 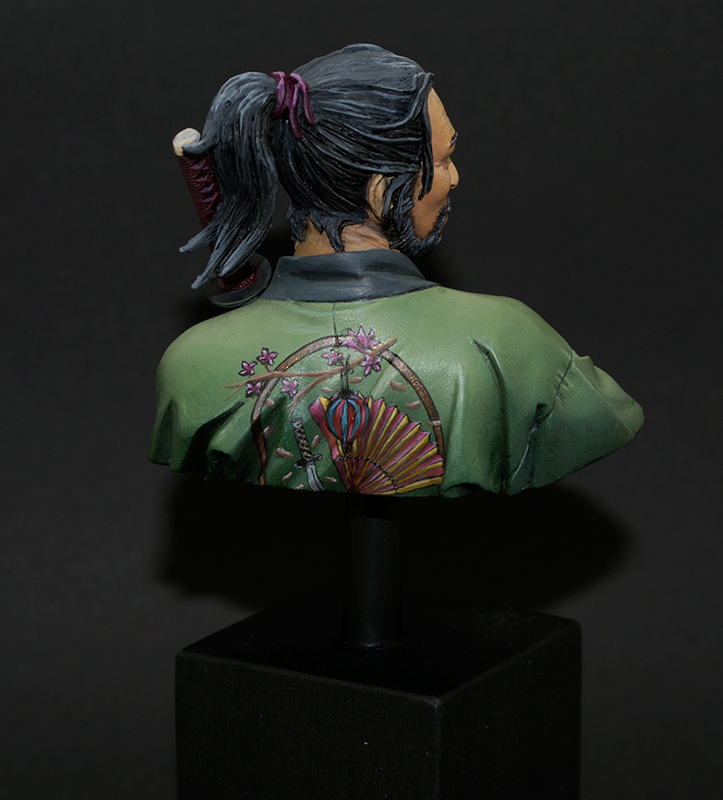 I have painted it with acrylic paints and some acrylic airbrush colours from Schmincke. Wow. One of your best pieces so far. Nice COC and blendings, excellent freehand and the sword looks great. The only things I miss a bit are those strong small highlights (Detaillichter) in the face and a little bit more color variation in the skin tone (I know you did some, but I think it could be stronger). The design on the socket is also well done and not so over the top as the last ones. I like it. I say the same as the Androsch!! Really looking forward to see you all again my friends! 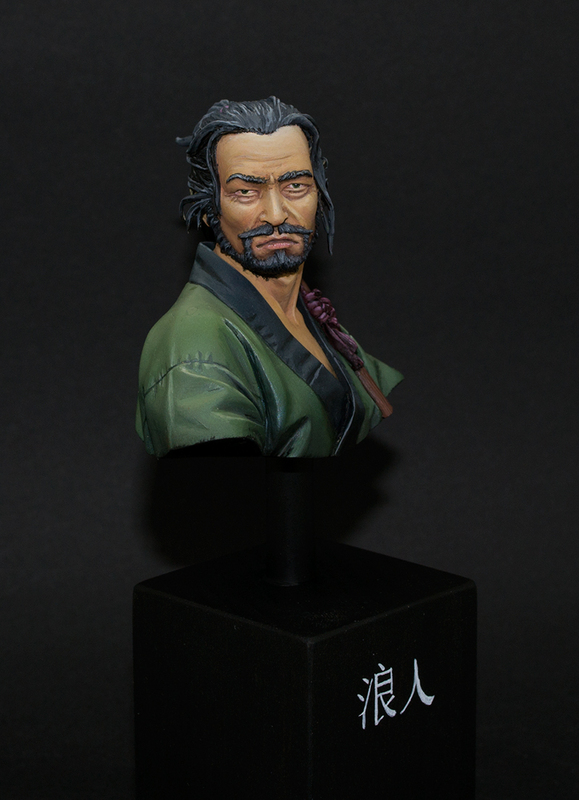 Thanks for the nice words, maybe i will spent some additional time for the skintone and the highlights in his face. I'm really looking forward to the duke of Bavaria too to see you all again.